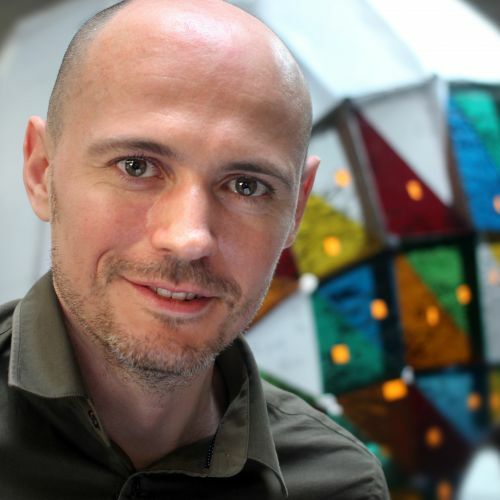 Dominic Wilcox works between the worlds of art, design, craft and technology to create innovative and thought-provoking objects. His recent projects include the world’s first pair of shoes with built in GPS to guide the wearer home, a Binaudios device to listen to the sounds of a city, a race against a 3D Printer at the Victoria & Albert Museum and a stained glass driverless car of the future. He has received commissions from a diverse range of organizations such as Paul Smith, Selfridges, The V&A Museum, and BMW Mini, and his popular ‘absurd yet logical’ invention drawings are published in his book and blog, ‘Variations on Normal’.